The Comrades are cocky, they’re cookin’ and they’re coming for you, Sid. Remember Sid? He was the ordinary punter, aspirational, self-sufficient, who bought shares in the privatisation schemes of the 1980s. 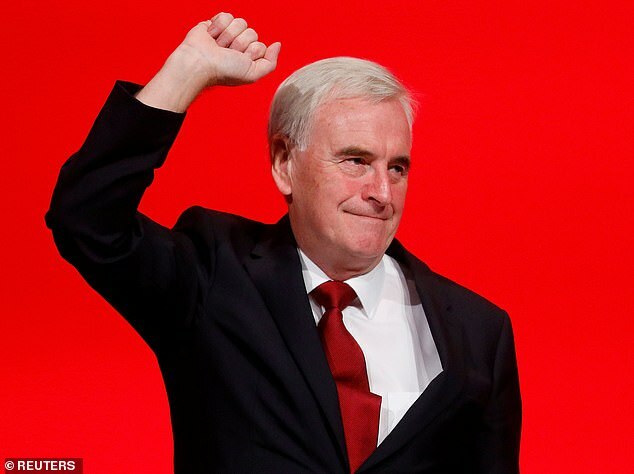 On a day when the Corbyn Left opened the throttle, trade union heavies and Shadow Chancellor John McDonnell thumped the re-nationalisation message. Bring back Clause 4! Punish the banks! Cane the speculators! And all those private shares owned by Sid would be compulsorily grabbed back by the state. If you see Sid, warn him. It would cost billions but no matter. Mr McDonnell, narrowing his eyes, said the worse the nation’s finances were, the more extreme Labour would become. It’s the old Venezuela gambit. A crisis only proves the revolution has not gone far enough. The conference-goers rose and clapped wildly, acclaiming the miraculous rebirth of socialism. Old women with tattooed dewlaps and retro’ charlady headbands raised their bingo wings and yaroooed. A youth in a red T-shirt was shaking so much with elation, he could barely take a selfie. On the stage, about 100 yards away, Jeremy Corbyn flashed his front tooth. Former Foreign Secretary Margaret Beckett MP – one of those moderates who agreed to put Corbyn on the leadership ballot in 2015 simply out of generosity – looked queasy. A llama off its oats. If she’d been in the back of your car you would have given her a paper bag and told her to open the window. ‘We live in extraordinary times,’ hollered union boss Len McCluskey. He’s right. ‘We’re going to kick capitalism out!’ he continued. I missed the rest of that sentence, so deafening became the jampot-boil of cheers. Big Len, who towers above the lectern, also took a swipe at sleek Labour MP Chuka Umunna, an anti-Corbyn dissenter and disciple of Peter Mandelson. 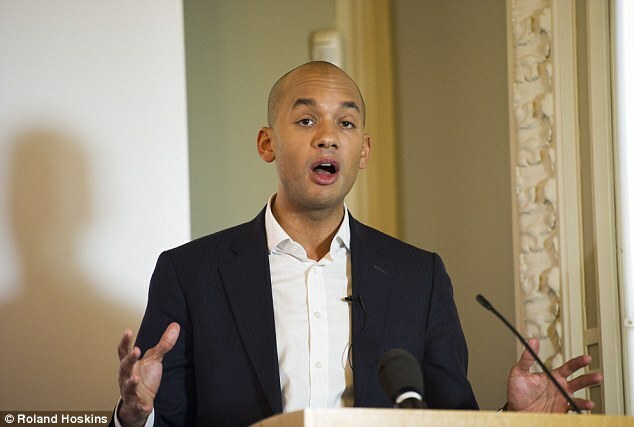 ‘Chuka,’ bawled Mr McCluskey, ‘drop the country-club plotting. Get behind this party that has made you and make Jeremy Corbyn the people’s prime minister.’ Whoosh. Standing ovation. It was all rather exhausting. The audience was being revved up for Mr McDonnell’s pre-lunch speech. Dave Ward from the Communication Workers’ Union said: ‘Let’s repeal all of the anti-trades union laws.’ All of them! A cross woman from the Fire Brigades’ Union predicted that ‘we will get into Government and it will be soon’. More frenzied whooping. A shrill delegate from Unite suggested that Theresa May had never been to the north east of England in her life. Er, she was once a parliamentary candidate in Durham. Mick Whelan from Aslef gave a speech of such clipped, staccato rapidity, it was like listening to a man eating gobstoppers with chopsticks. Mr Whelan was almost completely incomprehensible yet he was still given an enthusiastic drumming of approval. Before Mr McDonnell’s speech there was a brief video about the late Liverpool football manager, Bill Shankly, who believed in teamwork. We were being invited to see Mr McDonnell as a sportsman, one of the players. This does not quite sit with his long self-styling as a loner who stood apart from, and refused to have anything to do with, New Labour. Mr McDonnell’s character is closer to that of the acidic anchorite. In his speech which deplored ‘the divine right of kings and the aristocracy’ he nonetheless praised the Archbishop of Canterbury, Justin Welby, and told His Grace: ‘If they get round to calling you a Marxist, I’ll give you a few tips on how to handle it.’ Lucky Lambeth Palace. There were threats about ‘bankers and speculators’, ‘the elite’ and ‘the Establishment’ and a persistent tone of sharp-faced intent. Conservatives would be wrong to dismiss it. 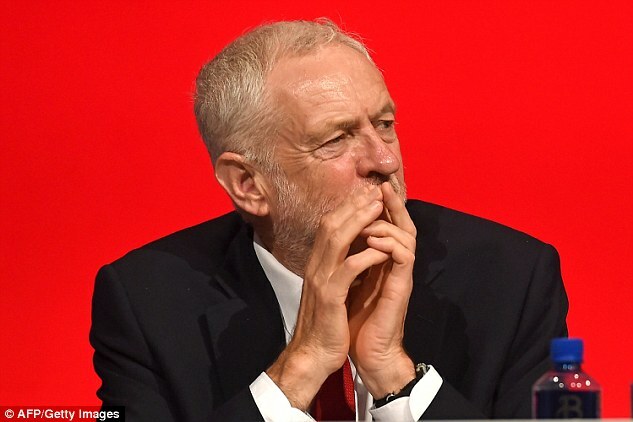 After years of corporate abuses, multinationals and central bankers crying wolf, and a Whitehall and Westminster hierarchy still stubbornly opposed to the people’s will on Brexit, this Corbynist fervour may well find a trusting audience.